A 99-year-old woman who died after an electric blanket caught fire has been named. Hilda Haigh, of Lightcliffe, died after the fire started in the bedroom of her bungalow. Fire crews from Cleckheaton, Halifax and Odsal attended the fire in Laburnum Grove at 10.45pm on Saturday night. 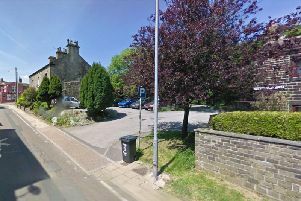 Firefighters managed to rescue the pensioner from her living room but she later died in hospital. The blaze caused unsalvageable damage to the bedroom with other parts of the property suffering from heat and smoke damage. Crews were at the scene until 3am on Sunday. Following the incident a spokesperson from Cleckheaton fire station said that electric blankets should be serviced and well maintained with home fire advice available from local stations. An inquest is due to open later this week.